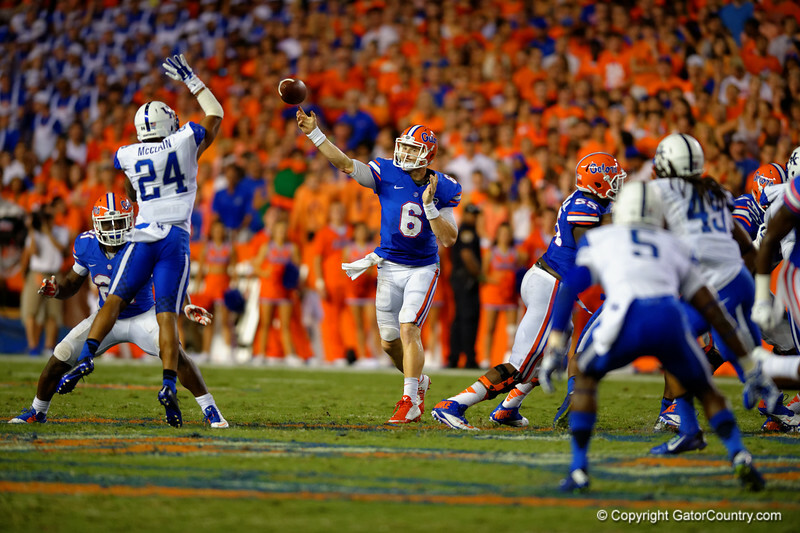 The Florida Gators are able to hold of the Kentucky Wildcats 36-30 in a thrilling triple overtime sec opener. Florida Gators quarterback Jeff Driskel throws downfield over leaping Kentucky Wildcats cornerback Blake McClain during the second half. Florida Gators vs Kentucky Wildcats. September 13th, 2014. Gator Country photo by David Bowie.